MH Link redefines audio interconnect technology. It supports up to 128 channels at 32-bit/192k, bidirectionally, on each port. MH Link intelligently manages low-jitter audio clock distribution, high-bandwidth audio streaming and system control data all on a single lightweight, inexpensive, industry-standard Cat5/5e Ethernet cable. MH Link helps you to maximize your audio performance while minimizing complexity. No Latency offset — The MH Link transport effectively unifies all connected devices into one unit. There is no latency offset between the individual devices. With MH Link, the maximum transport latency between units is 16 microseconds, regardless of whether two units are directly connected or there are 16 additional units in between. Up to 100 meter MH Link Cables — Say goodbye to your expensive, heavy, noisy analog snakes. Place your Metric Halo setup where it is best positioned and remove hundreds of meters of analog audio cable. Easily connect your Metric Halo unit with commodity Cat5/5e cable with up to 100 meters of cable length per MH Link connection. 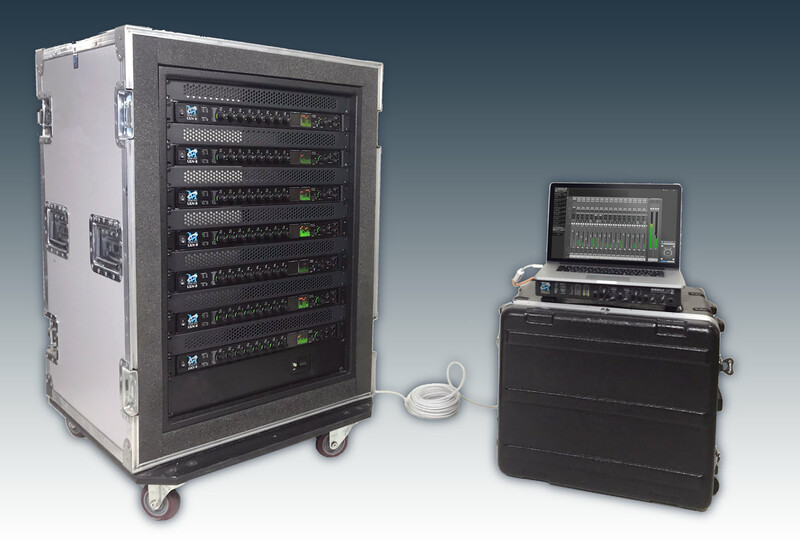 Split systems — With up to 100 meters of cable between units, put your primary system on stage (or your live room) and your monitor box at FOH (or your control room). MH Link adds no latency and provides a common clock; you can even use existing installed wiring plants for tie-lines. Integrated daisy-chain support — No need for the added expense and complexity of Ethernet switches. MH Link uses true locking connectors to provide security from cables getting snagged and disconnected at inopportune times. Galvanically isolated — Because MH Link is based on Ethernet and is transformer coupled at each port all your connections are galvanically isolated. This makes operation extremely safe while also protecting your recording system against electrical interference and the introduction of data-path ground loops. Integrated, Automatic Clocking — No need for word-clock or any other digital interface to transparently lock multiple MH Linked unit’s clocks. Standards-compliance provides support for both direct connection and switched connection to computers via MH Link Audio — our Ethernet CoreAudio driver.